This past weekend saw the return of one of our favorite non-profits to the Bluegrass, Paradox Sports. Paradox is a Colorado-based non-profit that runs adaptive adventure programs across the United States, and they hosted an outdoor rock climbing clinic at Torrent Falls. 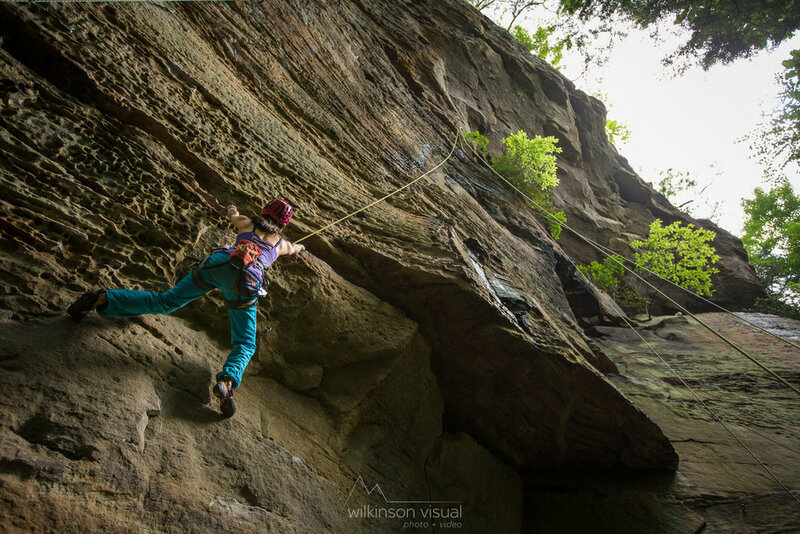 Wilkinson Visual was asked to be a part of the action, so Jen and I got our camera and climbing kits together and headed to the Red River Gorge. 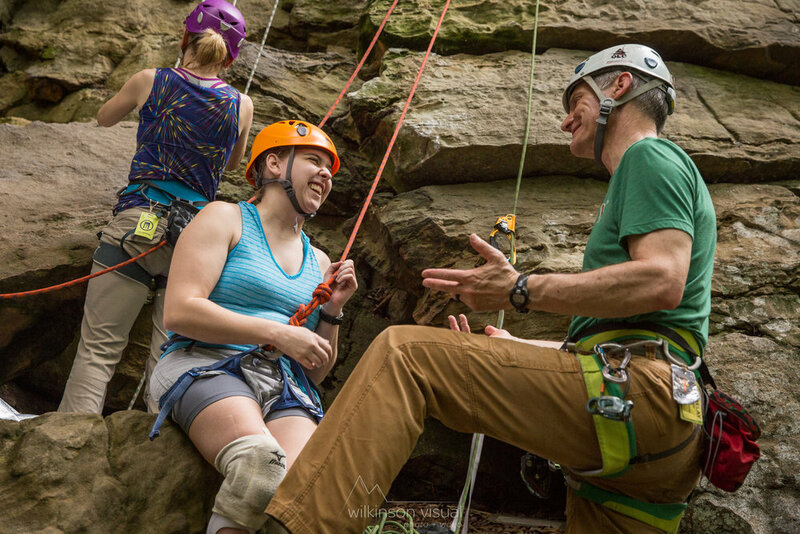 The Paradox Sports climbing program facilitates getting people who are differently-abled (more commonly referred to as disabled) outside to rock climb. 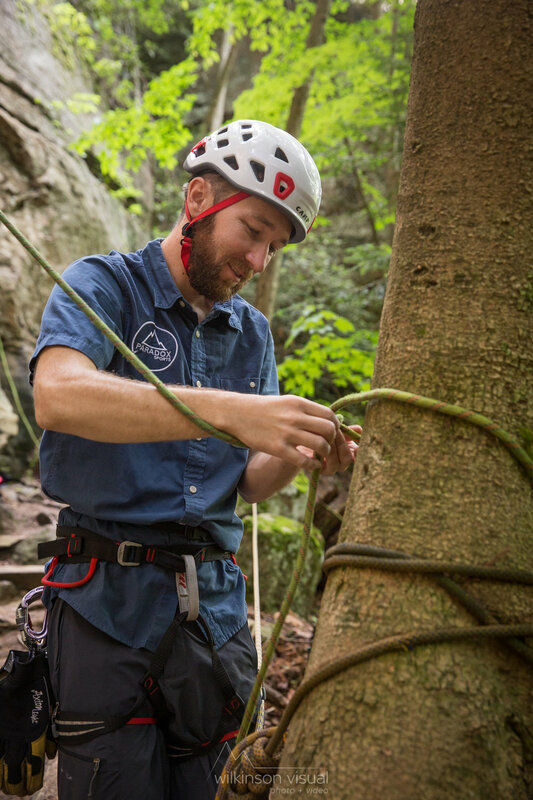 While we were on-site to create photography, the most important thing was to do our part to help participants get the most out of their experience, which meant helping folks navigate the trail to the crag, provide a belay, and even offer some mid-climb encouragement. As I was hanging from a rope taking photos, I kept an eye and ear out for the climbers nearby and was available to assist as needed. I'd rappel over to them and help them in finding holds, ascending the rope, or even just climb besides them and provide support and encouragement if that's what they needed. Jen pitched in by belaying and assisting folks on the hike to and from the cliff. 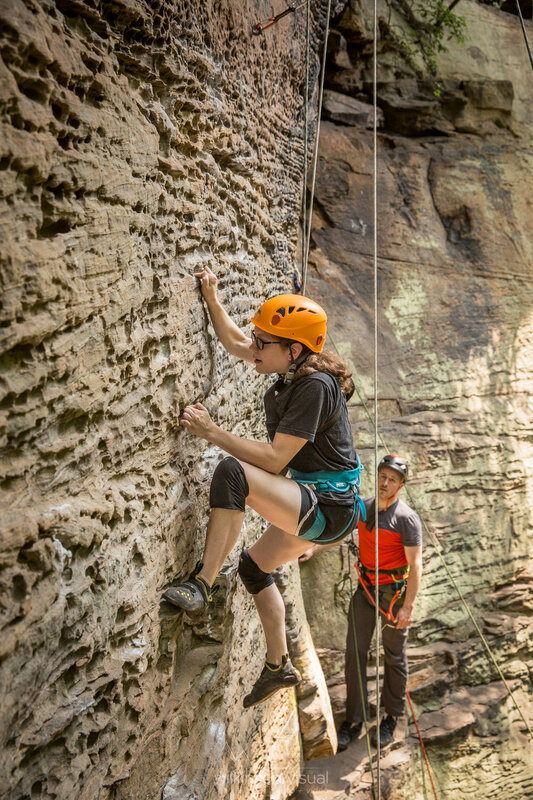 For some participants, it was their first time climbing in the outdoors, while others had attended Paradox clinics in the past. 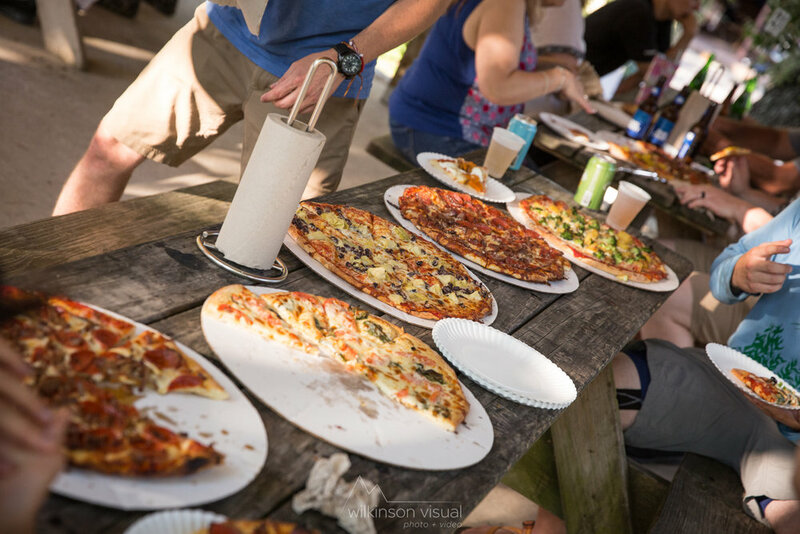 No matter the experience level, no day of climbing in the Red would be complete without a trip to Miguel's Pizza afterward! It's definitely become a bit of a cultural experience in Kentucky. The last day of the trip was a half day of climbing at Torrent Falls and the clinic wrapped up just as a light rain started to roll into the area. We were able to come away with images that I knew this client was after, which is rewarding in and of itself. On a deeper personal level, I had a few key interactions with participants that stuck with me from this trip. As an example, I was honored to interact with and witness a particular climber work harder and harder to try to get to the top of a particular climb throughout the weekend, and she succeeded as the clinic drew to a close! She was so stoked by her achievement, the impact of the experience was palatable. It is awesome and inspiring when you see someone push their limits and revel in their success, you can't help but get swept up in the celebration. The energy and determination that exudes from someone taking control of their life is awe-inspiring, and this event was full of experiences like that. Jen and I were thrilled to have been asked to come back to help with this event, and we're already looking forward to their next visit!